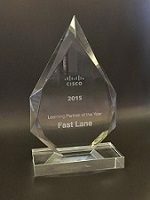 Fast Lane Benelux has received the award for Learning Partner of the Year 2016 during Cisco's Annual Partner Dinner. 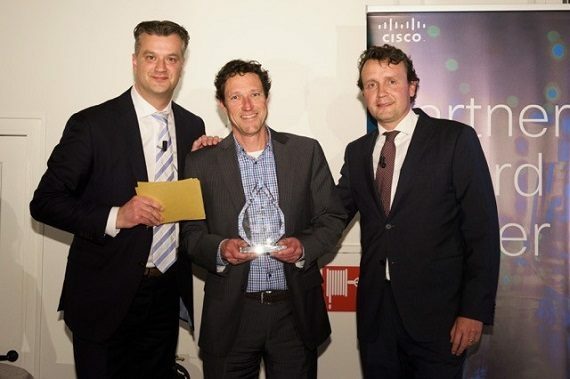 This is the first time Cisco has handed out a Learning Partner award in The Netherlands. 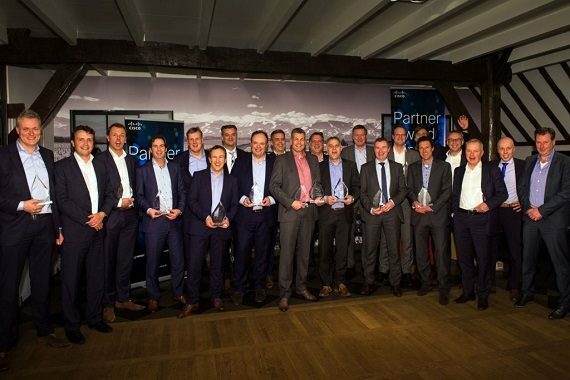 Every year in The Netherlands Cisco hands out awards to partners that have achieved a large growth or that have distinguished themselves during the past fiscal year. This year, for the first time Cisco awarded a Learning Partner. Cisco acknowledged the large growth in Fast Lane's student numbers including the high demand for advanced technologies. Herman Goedman, Managing Director Fast Lane Benelux, commented: "It's due to the extensive collaboration between Fast Lane, Cisco and the Cisco channel partners that we have received this award. For over 10 years now this is what drives Fast Lane's success in the Benelux. We are thankful to Cisco and the Cisco channel partners for their trust and support. Without them we wouldn't have been able to achieve this." Herman Goedman, Managing Director Fast Lane Benelux, receives the award from Daan de Groot (l), Sales Manager Partner Organization Cisco Netherlands, and Edwin Prinsen (r), Managing Director Cisco Netherlands. "Our partners play a crucial part in Cisco's growth and development", says Daan de Groot, Sales Manager Partner Organization Cisco Netherlands. 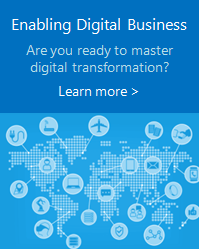 "They're offering real added value with services and solutions that are based on our products. In addition they have shown that they do not only have in-depth knowledge of our technologies but of specific market areas as well. They continue to invest in improving their services which is very helpful to our customers. We are glad to reward the partners that have worked so hard to make that happen." In addition to the award for Cisco Learning Partner of the Year 2016; 16 other Partner Awards were presented.